The Lincoln Highway Band is an award-winning, four-piece Country/Rockabilly band primarily playing cover songs from the 50s to the 90s. 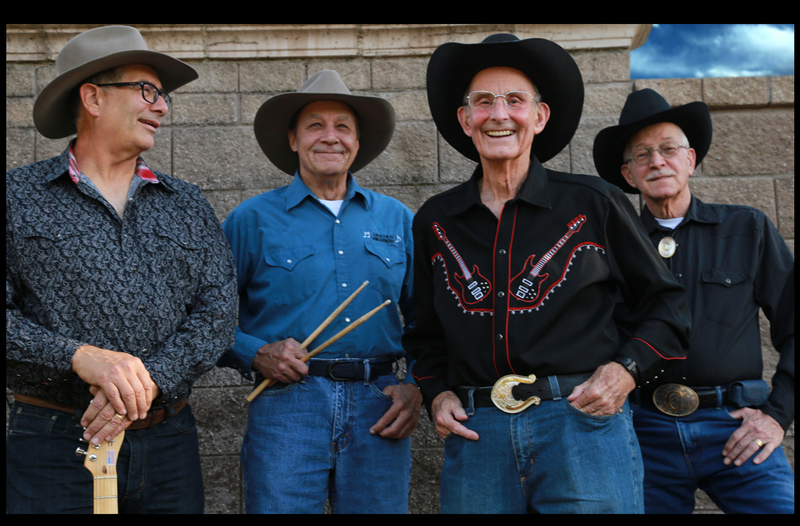 Lincoln Highway is not just an outstanding dance band, as this versatile group is just as comfortable entertaining on a concert stage. Since 2011, Lincoln Highway has been chosen as the "Best of the Best" by the Lincoln News Messenger for "Best/Musical Entertainment." Lincoln Highway is self-contained with its own top quality sound system that is adaptable to either inside or outdoor venues. Don't wait . . . book Lincoln Highway for your next dance, concert or special event. You can't go wrong with this enthusiastic, energetic, and crowd pleasing band. BOOK NOW . . . (916) 580-7390. Old Habits – Hank Williams Jr. The Lincoln Highway Band performs throughout the area. If you're interested in booking us for your upcoming party please contact us! Here's what our fans are saying about The Lincoln Highway Band! "These guys know their country music! From swing to country cha cha, their show is always great fun." Charlie S.
"My husband and I love this band! We go every time they play the VFW in Antelope and dance the night away. Their music is wonderful and the best in the area." Janet G.
"I've been going to the Lincoln Highway shows for a couple of years and hope to go to many more. Love their music and they're great guys, too!" Jerry M.
Please fill out this form if you'd like to receive the latest Lincoln Highway Band news! Carol R. Percy, photographer | Powered by The Lincoln Highway Band.